Lois Shepherd is an expert in the fields of health law and bioethics. Her primary appointment is in the medical school’s Center for Biomedical Ethics and Humanities where she directs the center’s programs in medicine and law. She teaches courses in health care law and ethics at both the law school and the medical school. firm of Robinson, Bradshaw & Hinson, P.A. She began her academic career in 1993 at the Florida State University College of Law. 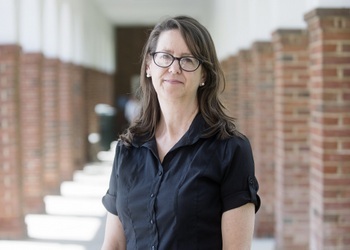 Prior to joining the UVA faculty, Shepherd was the Florida Bar Health Law Section Professor and D’Alemberte Professor of Law at Florida State. scholarly and teaching interests are focused on legal and ethical issues at the end of life and in human subject research. Shepherd, L. SUPPORT and Comparative Effectiveness Trials: What’s at Stake?, Hastings Center Report 2015, 45 (1): 44-45. Macklin R., Shepherd L. Informed Consent and Standard of Care: What Must Be Disclosed,American Journal of Bioethics, 2013; 13(12): 9-13 (target article). Shepherd L. The SUPPORT Study and the Standard of Care, Bioethics Forum (Hastings Center Report), May 17, 2013, http://www.thehastingscenter.org/Bioethicsforum/Post.aspx?id=6358&blogid=140.